The battle in Congress over America’s budget problem is both practical and ideological. People on the left argue that the budget can never be brought under control without a blend of tax hikes on the rich and spending cuts. On the right tea-party-fueled passions oppose any tax increase on the grounds that the rich are already paying more than their fair share and, moreover, that raising their taxes will stifle job creation. 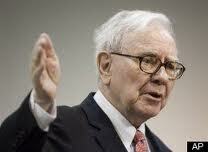 Into this battle rides Warren Buffett, the world’s third richest person with assets of $50 billion. In an op-ed in today’s New York Times, headlined “Stop Coddling the Super-Rich,” Buffett demolishes both arguments against higher taxes for the super-rich. While the poor and middle class fight for us in Afghanistan, and while most Americans struggle to make ends meet, we mega-rich continue to get our extraordinary tax breaks.